Autism Speaks, the world’s leading autism science and advocacy organization, announced this week the launch of its second annual Sound Off For Autism Speaks. This exciting fundraising effort will give fans the opportunity to order a limited number of custom-recorded messages from Adam West, Bryan Cranston, Cher, Jack Black, Jim Parsons, Mark Hamill, Michael Dorn, Peter Dinklage, Vin Scully and Zachary Quinto in return for a $299 donation. All proceeds will support Autism Speaks’ research and advocacy efforts. Celebrity messages will be available for purchase for one week only, October 7 – 13, 2013. Fans can register online at SoundOffForAutismSpeaks.com to receive a reminder just prior to the October 7 campaign. A limited number of messages will be available from each celebrity on a first come, first served basis. Fans will have the unique opportunity to specify what they want their chosen celebrity to say in the message. 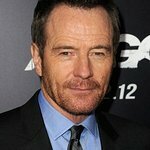 Autism Speaks will send fans a digital file of their message once it has been recorded by their celebrity. The inaugural Sound Off For Autism Speaks took place in December 2012, raising more than $100,000. 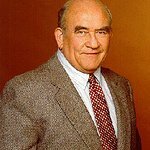 The campaign was spearheaded by Ed Asner, whose son, Matt, serves as executive director of Southern California for Autism Speaks. In addition to Asner, participating celebrities included Will Ferrell, Morgan Freeman, Carrie Fisher, Tom Hanks, Derek Jeter, Leonard Nimoy, William Shatner, Patrick Stewart and Betty White.